I’m not quite sure where the last week has gone, but it’s certainly flown by. Feels like I’ve only just written a post about five frugal things, and here we are, it’s Friday again and time to celebrate another set. Here are the links to weeks one, two and three if you’d like a recap. We’re back in the swing of the school routine, with the juggling act of remembering who has filled in which reading diary, who needs what kit on what day (recorder? football boots? Brownie hoodie?) and the relentless round of locating discarded uniform before the clean stuff runs out. In between I try and get some work done, with varying degrees of success. Believe me, there’s a whole load of blog posts that get written in my head and never quite make it onto the computer. We headed off to visit friends in Wanstead last weekend. It was great to get the two families together, and on Sunday we took advantage of the sunshine and got wellied up for a long walk. 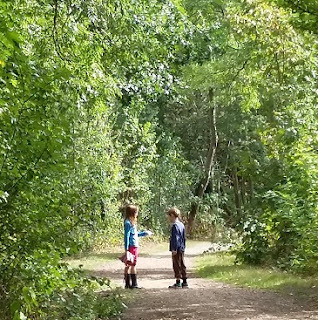 For once my children hardly complained about the distance, as they wandered round Wanstead Park trying to skip stones across the pond, comparing sticks, paddling in the stream (yes, they did all get wet feet) and pursuing a record-breaking collection of conkers. I do think glossy conkers are a particularly beautiful colour, so I’ve stuck some in a jug to decorate the dining table. However, this hasn’t made much of a dent in the 300 odd my children insisted on carting home. Sure, I can thread some string through a few so they can play conkers, but has anyone got any other suggestions? 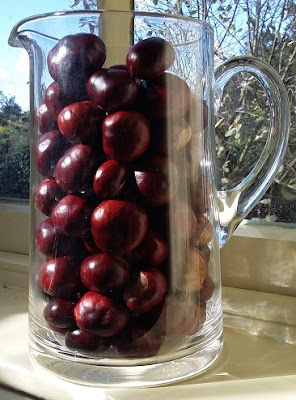 Zoe over at Eco Thrifty Living pointed out on Instagram that horse chestnuts have saponins in them, so I could potentially chop up the conkers and boil them to make laundry detergent. My mind is still boggling at that idea, so I’m open to alternatives. Look! Roots! Let’s pretend that was on purpose. I wish I could pretend that sticking some mint sprigs in a glass of water until they sprouted roots was a deliberate decision to grow a free mint plant. In reality, it’s just an example of rubbish housekeeping. My mother-in-law gave me some mint from her garden to go with new potatoes, and I stuck the remaining half in water to keep it fresh for another recipe. Ever frugal, I even brought the remainder back from Dorset at the end of our holiday, wrapped in damp kitchen towel and foil. The mint has been sitting in a glass of water on our kitchen windowsill ever since, with a few leaves used here and there in salads or mojitos. Fast forward nearly (cough) two months, and the mint has sprouted new leaves and plenty of roots ready to plant in a pot. Result! I’m all in favour of using second hand stuff that still has life left in it – clothes, books, toys, furniture, the lot. When the grandparents retrieved some children’s books from the loft, I was only too happy to give them a home, as new books for the family to read for free. 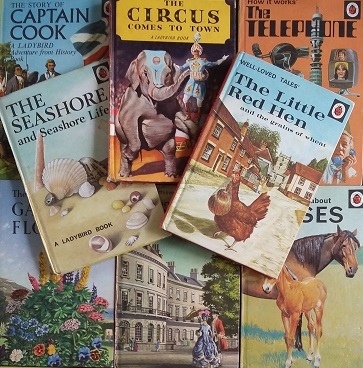 I’ve picked up retro Ladybird books here and there in the past (pics of some in this post), but now we have loads more to add to the shelves, all relics of my husband’s childhood. Much as I love the illustrations, some of the text is quite as politically incorrect as you might expect from the recent Ladybird parodies. However, the kids have been keen to read assorted stories, and my son carried off “The Seashore and Seashore Life” during his school trip to Felixstowe. The offending lump of carbon. You came here for the glamorous photos, right? Now, I appreciate that spending £95 to get the Aga serviced may not appear exactly frugal, especially given I have ordered a new cooker (short pause while I count down the days until delivery). However, the elderly oil-fired Aga had lost heat so much that I couldn’t actually cook anything, and using a single plug in electric ring was a pain. When I went away for the competition trip with my sister (it was utterly amazing! 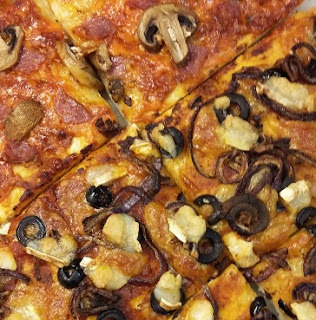 More details here), there was no hope of bunging the traditional Friday night pizzas in the oven, and my husband ended up at the local takeaway. The next day was our wedding anniversary, but with no working cooker, any attempts at cooking a fancy meal like last year were completely scuppered. We ended up eating fish, chips and fizz*, all four of us sitting in a row on the sofa, watching the Great British Bake Off on catch up. Rock’n’roll. *I do feel compelled to point out that the primary school aged contingent were on the milk, before anyone feels the need to call social services. Takeaways are a rare luxury for us, and shelling out £32 on just two meals was painful. Compared to the spiralling cost of more takeaways, getting the Aga back in working order suddenly seemed more sensible. Anyway, this week Ross Damasco the amazing Aga man took pity on us and squeezed in a service at short notice. 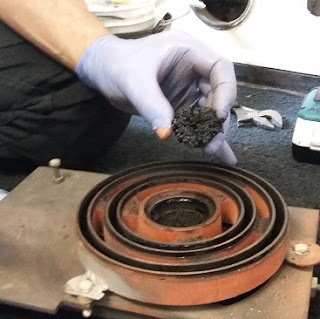 He pointed out that the problem was all due to a plug of carbon building up as the oil burnt, which then prevented further oil from getting through. No wonder the flame was guttering. After he worked his wonders, the Aga is now back to blast furnace again, rather than boring food to death. This is an example where I fear my attempts at frugality, in not getting the Aga serviced last year when we expected to replace it, had expensive side effects. Now I can continue cooking until the new oven is delivered and connected, and we can attempt to sell the old one in working order. So if anyone fancies an 80-year-old pre-war Aga, that guzzles oil like there’s no tomorrow, just give me a shout. It has even featured in the Sunday Times and everything. Now that the Aga is back in action, it’s back to making our own pizzas on Friday nights. I make the dough using this recipe, with only really simple ingredients: strong bread flour, or value plain flour at a pinch, plus yeast, salt, a teeny bit of sugar, a slug of olive oil and some warm water. Pizza is a great way to combine different odds and ends lingering in the fridge. You can also stretch ingredients like ham or salami to serve many more people when it’s all chopped up. You can take out any frustrations bashing the dough about, but you do need to allow a good hour for the dough to prove, so it’s not an option if you’re in a hurry. I have tried making double quantities and freezing a couple of pizza bases, but it didn’t work entirely well. Anyway this week we went for ham, mushroom and value mozzarella on one side, and brie, black olives and caramelised onion on the other side. Yum. And as a final update for anyone who’s wondering, my 49p basil plant hasn’t died yet! I’ve been sticking to the advice about watering the saucer not the plant, and getting rid of any remaining water after 10 minutes. Anyone else have some frugal triumphs to celebrate, or on the flipside, frugal intentions that ended up with expensive side effects? Or is it just me then? Next Post Do you have more than £100 in savings? 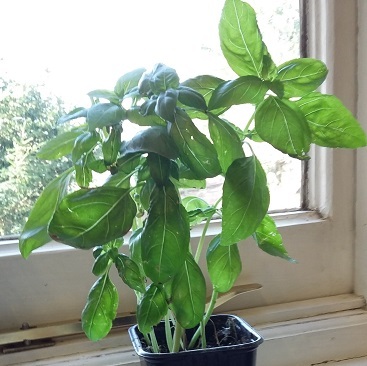 Good to see the basil is thriving. 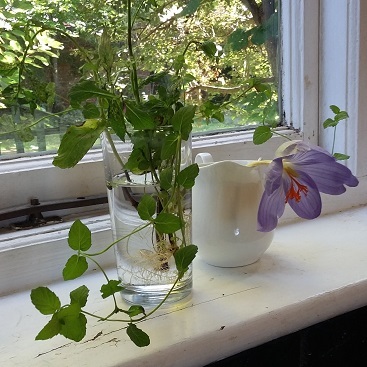 I must attempt to get some mint going on the window sill. Oh! My smiley face turned into two question marks! I love the conker display. I plan to take Erin out collecting this weekend – conkers and blackberries.